⇒ Material & Size: Ultra Soft Cashmere & Acrylic, furry, cozy, light and warm, close to skin. Oversized: 59″ x 59″(L X W). ⇒ Feature: Scottish style tartan patterns, very classic and still in style now, making you cool and casual in the urban city. The colors are either matching or reverse, reflecting your unique charming. 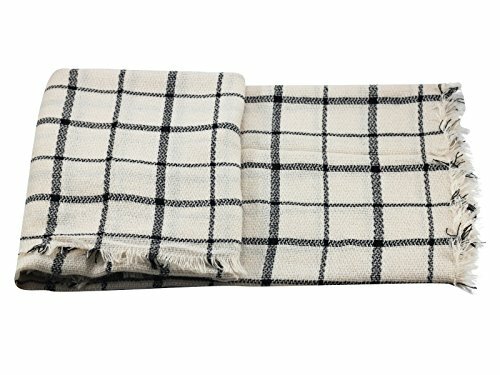 Large oversized Scarf has multiple uses, as picnic mat, shawl, wrap while outing or soft blanket at home, light but warm. There are tassels decorated at the edge, making this scarf more cute and vivid while wearing. This is a traditional style scarf while in today brilliant and gorgeous. 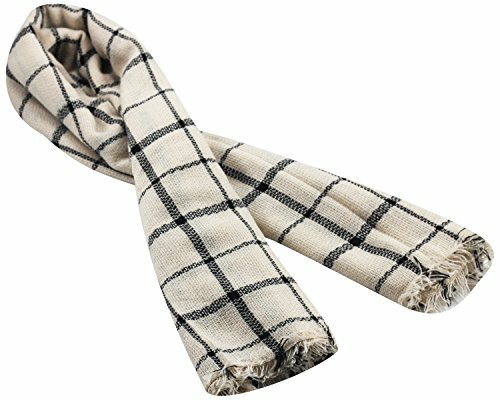 ⇒ Occasion: Wearing this scarf in cold fall winter or spring days would be good, long time use and durable. You can use it as a shawl to attend an evening party, it would be gorgeous if you pair it with a nice dress. 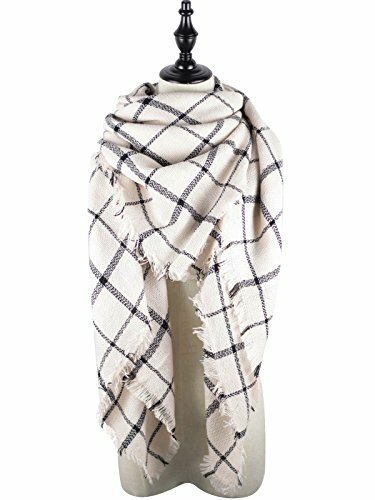 Or as wrap when you go out for a wonderful travel, this scarf would make you beautiful and stylish even you don’t bring too much clothes. 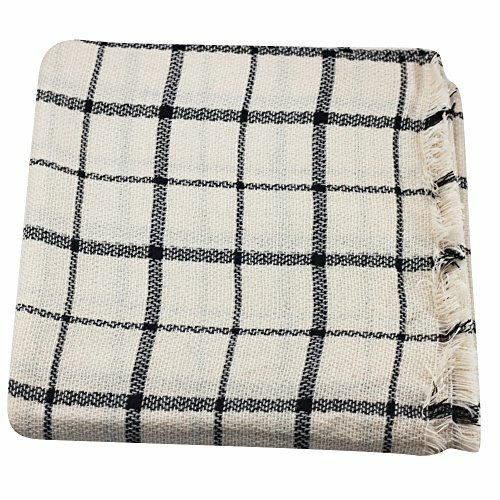 Soft, warm, lightweight, easy carry, cozy and warm.